The law firm of Weld Riley, S.C. is pleased to announce Attorneys Grant A. Beardsley and Walker J. J. Stutzman have been elected shareholders of the firm. “Assisting and navigating clients through transactions, both simple and complicated, is a gratifying aspect of the practice of law. 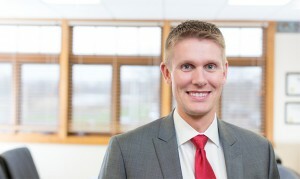 Growing up in Eau Claire, I am fortunate to be able to serve the businesses and residents of the Chippewa Valley and throughout Wisconsin,” Beardsley said. Beardsley is a member of the firm’s real estate, business & corporate, and frac sand, mining & minerals sections. He advises and represents businesses, individuals, and municipalities in all aspects of general corporate and real estate matters, with an emphasis on business transactions, mergers and acquisitions, condominium law, real estate development and transactions, business entity formation, and leasing. He graduated from the University of Minnesota with a B.A.Q. in economics and received his law degree from Stetson University College of Law. Stutzman is a member of the firm’s litigation practice group with a focus on worker’s compensation defense and labor and employment law. Previous to private practice, Walker served as corporate counsel for a Fortune 100 company located in the Midwest. 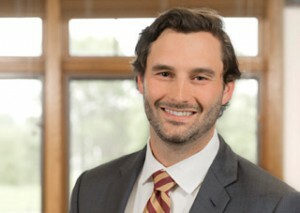 He earned his undergraduate degree from the University of Wisconsin-Milwaukee and his law degree from Western New England University School of Law. “I am truly humbled to be elected as shareholder by my colleagues. I look forward to continuing the Weld Riley tradition of providing exceptional legal services to my clients, serving and supporting my community, and being a part of our law firm’s future with my fellow partners,” Stutzman added.